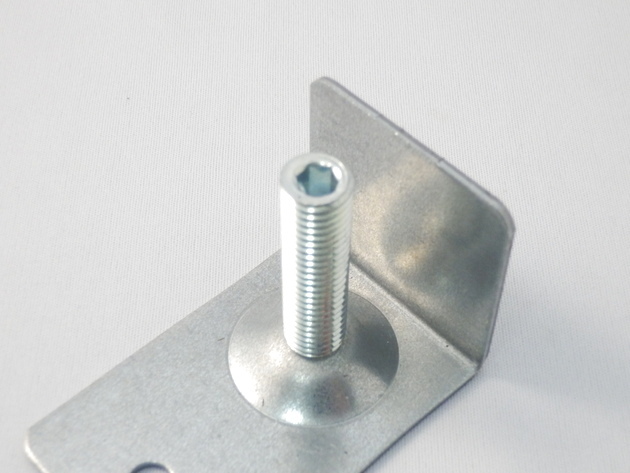 This bolt is used for adjusting the height of industrial equipment and office equipment (adjustment bolt) or for keeping horizontal orientation. We receive special orders. For connecting between the thread portion and the plate portion, caulking and spot welding are often conducted. If you are concerned about connecting strength of spot welding, please consult us. Please consult us if you have any other questions.